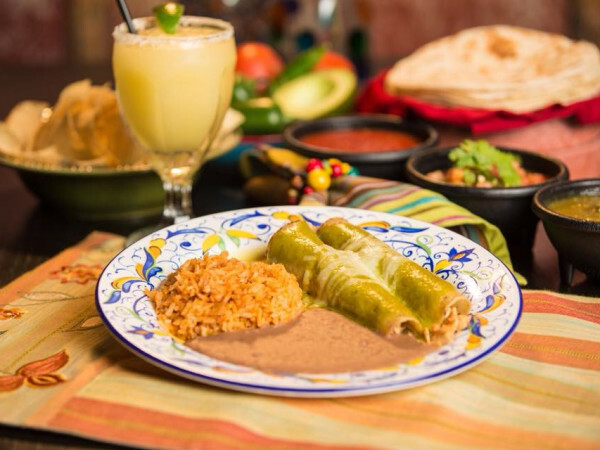 From cutting-edge to traditional, we're giving you a taste of some of San Antonio’s best hotel restaurants. These five restaurants offer unparalleled dining experiences for tourists and locals alike. The Historic Menger Hotel, established in 1859, brings much history to downtown San Antonio, and the restaurant continues the culinary tradition that William Menger’s wife, Mary, created as head chef. She blended German, Mexican, French, and American cultures, and the current menu takes a page out of the past, with traditional entrees including prime rib au jus and lamb shank with linguini. The Colonial Room offers a surf and turf lunch buffet, featuring an assortment of salads, soups, seafood entrees, carving station, pasta station, side dishes, and a variety of desserts for $19.95 for adults and $9.95 for children ages 6 to 11. Guests will enjoy ragtime music playing softly in the background, and live music from Spanish guitarist Fernando Solis from 7-10 pm every Friday through Sunday. The Menger Hotel’s famous mango ice cream, originally made from the fruit culled from mango trees in the courtyard, has been on the menu for more than 100 years and was served at both of President Bill Clinton’s inaugurations. Don’t miss the Sunday breakfast buffet from 9 am to 2:30 pm, featuring waffles, omelets, soup, gourmet salads, salmon, shrimp, chicken, and carving and pasta stations to be enjoyed on the garden patio in warmer months. Reservations are recommended. 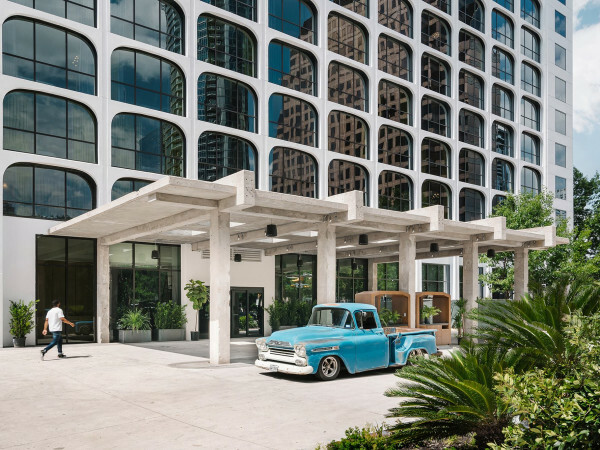 The Spanish-style Hotel Valencia on the River Walk is wrapping up a $10 million renovation, and the remodeled hotel is the home of San Antonio’s only Argentinian-inspired restaurant, Dorrego’s, which opened May 15. Executive chef Anthony Mesa brings the flavors of Argentina to the menu, with house-made chimichurri and fresh seafood reflecting the Spanish, Italian, and English influences on the culture. Guests will enjoy smoked short rib ravioli for $22, head-on grilled prawns with a saffron tomato jus and grilled bread for $21, and locally sourced duck empanadas for $15. Dessert includes burnt apple empanadas with General Dorrego’s dulce de leche ice cream for $9. 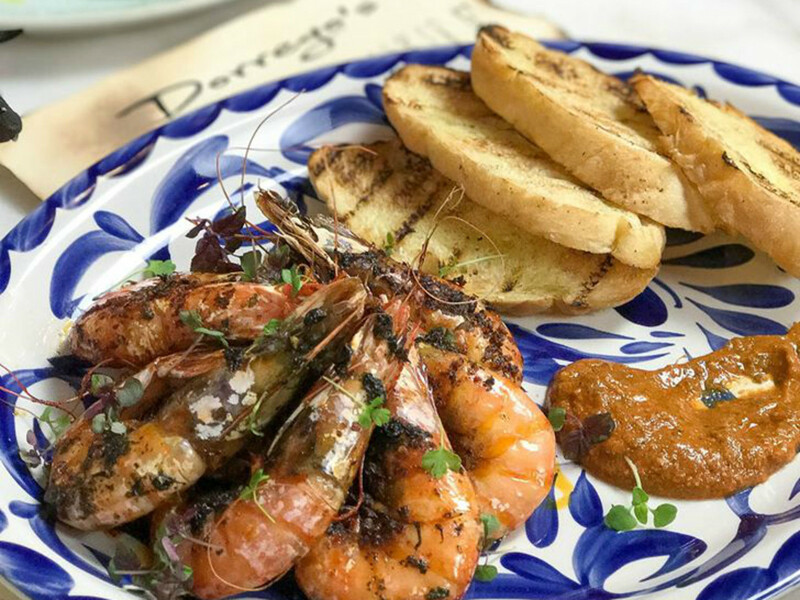 Dorrego’s serves entrees with fresh bread instead of tortillas. The restaurant, which is named after Plaza Dorrego, a public square located in the historic San Telmo neighborhood in Buenos Aires, features the Spanish Colonial design and architectural heritage of Argentina with a touch of Parisian bistro panache. Dorrego’s offers a private dining area with extra seating on the outdoor terrace overlooking the River Walk, as well as an extensive wine and cocktail menu and bar snacks, including Patagonian wings and a charcuterie plate. The restaurant is open seven days a week, serving breakfast, lunch, and dinner, with daily specials based on seasonal produce. Chef Stefan Bowers and Andrew Goodman opened Rebelle in 2015, bringing a new flavor to the historic St. Anthony Hotel. The space is now a dining room evoking Hollywood glamour and modern elegance, with the menu imparting a “divide and conquer” approach to eating. 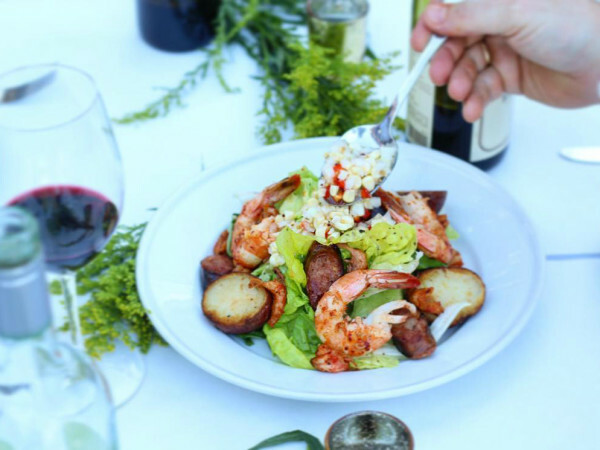 Selections are based on a sharing style and personal plate experience, with overnight-flown seafood and farm-fresh produce from the vast agricultural regions of Texas. Lunch entrees include ruby trout for $15 and chicken in green curry for $12, while dinner options range from fresh market salads for under $15 to pan-seared scallops for $16, grilled chermoula shrimp for $16, and the pricier beef short rib braised in West African red curry for $29. Order a side of St. Anthony’s Famous Spinach Pudding with white truffle cream for $9 for a complete meal. Rebelle follows on the heels of the chefs’ acclaimed restaurant, Feast, which opened in the heart of the Southside’s King William district in 2011. It serves lunch Monday through Friday, brunch on Sunday, and dinner seven days a week. Chef Andrew Weissman is rounding out his culinary career in Europe; New York City; and San Antonio, where he opened La Reve in the mid-1990s, with his newest restaurant, Signature at La Cantera Resort and Spa. The restaurant sits on the highest point on the resort property, offering diners a view of the Texas Hill Country and downtown San Antonio. The menu combines classic French cooking techniques with local ingredients to celebrate the unbridled Texas spirit — the South of France meets South Texas, said Signature general manager Patrick Bean. The dinner menu includes seared sea scallops for $32, tournedo of beef tenderloin for $49, and roasted rack of Pacific Northwest lamb for $42. Menu options change with seasons and availability. The restaurant interior is small, with about 70 seats, offering an intimate dining experience that’s meant to last longer, Bean said. Diners will enjoy amuse-bouches, intermezzos, and complimentary petit fours between meals, he added. It's difficult to write about San Antonio’s best hotel restaurants without including Supper, the flagship restaurant at Hotel Emma in the Pearl. Supper is actually one of six dining options at the hotel, and the restaurant gives guests a taste of chef John Brand’s Midwestern approach to all that South Texas has to offer. The restaurant sits on the banks of the River Walk and offers a wide selection of breakfast, lunch, and dinner choices. Breakfast is served from 7 to 11 am, with dishes including steel-cut oatmeal and red quinoa with cider, citrus, and poached fruit for $6 and poached egg with smashed avocado and ciabatta, tomato Provencal, and arugula for $9. Lunch is served from 11 am to 3 pm, with menu items including fresh herb gnudi with roasted garlic ricotta and blistered broccoli for $9. Try the local beef burger with roasted shishito peppers, white cheddar, and black mayo for $11. Dinner is served from 5 to 10 pm; from warm duck confit to braised pork and smoked crispy quail, there’s no shortage of local meats here. If you’re looking for a restaurant that feels part farm table and part bistro, make Supper your choice.